(new) 3DS needs to sell quite a lot to beat last year's Oct-Dec, like 160k 140k a week on average. That's not a lot for 2 new revisions and holidays. Omg@ Project Morpheus helping PS4 in Japan, amazing. Bravely Second is going to have a great debut. Coming for that 300k FW. You are ready to join Kandinsky. MH I get, but what's up with Yokai Watch not being ported for Vita? It's a relatively new franchise? Vita isn't on fire but it has a small user base, and PS3's is substantial, but I guess a console port wouldn't sell as much or something? I dunno, I stopped trying to understand that market a long time ago, I just know I liked the old PS2 days much better than the portable dominated Japanese era. I think BS has a shot to debut as high; 250k is my bet. The first one sold around 400k considering all versions, and had an incredibly good WOM and cult following. Are you sure you aren't the alt account of the other guy here who the only thing he posts is that he misses old Media Create threads where there weren't fanboys and were only real sale-agers? I really hope so, I decided to ignore Gaf's naysayers about the game and I'm having a blast, amazing game, I'm on chapter 4 with 70'ish ahours, well worth the money already. Just following the tail end of the conversation bra. and I'm not on Gaming GAF enough to even know who you're referring to. I just just want a graphically impressive DQ game again, hasn't been the same since 7 for me on PS2, and no, WiiU isn't enough of a jump, that would just be finally getting a last-gen DQ game. It seems all it needs is to be on a PS system to have an "graphically impressive" DQ like DQ8. despite there already beeing a graphically better and more modern (due to its online focus) mainline DQ game. The irony is that PS2 was the weakest system of the trio that gen. If you want impressive visuals there already are better options available and by 2016/2017 all current systems will look even more outdated than they already are, when it comes to actual potential graphics. But as the weakest system was good enough for DQ8 it´s obvious that the best option for graphics is only secondary, when it comes to these discussions. It should easily surpass that on launch week, and most of December, it's just the ~6 weeks between I'm not sure about. Looking at FFX HD and other recent releases, this would have benefited from a multiplatform release. Either PS3/PSV or PS3/PS4. Let's see what Square Enix does to try to sell KH3D. I doubt a PS3 only release is the way to go. Yup.^_^ Interested with this one. It always seemed weird to me to limit the HD remakes to PS3 when KH3 is bound for PS4/XBO. Perhaps they'll port all of them again when they're done? FFX/X2 skipping 360 seemed odd too though given it came to Vita and was an early headlining announcement for it, it seems likely Sony moneyhatted it. You couldn't have understood it terribly well during the PS2 era you seem to reminisce about now because not much has changed as far as the singular focus on the dominating space/platform(s). The GC wasn't on fire either, and it had a "small userbase" as well, but was hardly ever served any ports of the PS2's premier offerings. Is anybody siting on Launch Aligned Dreamcast, WiiU, PS4 comparison data? Is Kingdom Hearts 2.5 HD Remix on PSN in Japan? If not, you know why it's not on Vita or PS4. So Omega looks to have done poorly by retailer expectations. Why is it so expensive though? I think that sellthrough is for the limited edition only. There is also a regular version that is priced lower. Ah that would make perfect sense. Reading comprehension fail on my part. Crazier. It'd be more like making TR exclusive to Wii U.
Tomb Raider is exclusive (timed exclusive that is, but who knows for how long) to Xbox One though. That decision was most likely made before the PS4 and Xbox One was released. It will be the same with Dragon Quest XI as well, that it started developement before those systems were out. Does anyone knows when DQXI developement started by the way? Is there any info on that? EDIT: Maybe Tomb Raider will be out for Xbox 360 too? Japanese developers are verrrrrryyyyy bad at multiplatform development. Building a game on top of a multiplatform engine is such an alien concept that they specifically announce it every time they do it. Only the biggest of the bunch (Square, Capcom, Konami) have figured that out. And even these few still can't trickle the concept down into their handheld development processes. Even Sony had a better multiplatform engine last gen than a single-digit count of Japanese 3rd party developers. This thread has been frustrating and amazing at the same time. In a recent interview with Hino from Level 5 he was asked why 3DS was chosen as the platform for Youkai Watch (instead of smartphones or Vita, etc). He said that 3DS was the only viable option because YW is a children's game and all the kids are on the 3DS. You make it sound as if 2013 had every week over 100k. Unless there is money under the table it just doesn't make sense to do single platform development in this day and age. And no I don't buy the cost excuses, with modern game engines like Unity and UE4 that are designed to scale to wide range of devices and can be had for cheap/free, mutliplatform development is now actually easier and cheaper than ever. If no name indie devs can do multiplatform development just fine, I don't see why multi-million companies can't. Why exactly are folks even debating putting Youkai Watch on Vita? It's a kid oriented franchise that's selling like hotcakes on 3DS. If anything, the other "platform" to consider is mobile lol. Level 5 already tried with a kid focused brand on Vita (Danball Senki). After how that sold it's no surprise they dumped the platform. I dont anyone is debating it. One guy just asked a question about it. Sorry debating was the wrong term. Mario Kart 8 vs. Double Dash comparison =). Mario Kart 8			Mario Kart: Double Dash!! Mario Kart 8 hasn't had its first holiday, so if it has a decent holiday, I think it'll pass Double Dash's JP LTD. Only 147K to go! I think that is a result more of the franchise itself, not necessarily the platforms that it was on (PSP, Vita, 3DS). If Vita was the only reason that held back the franchise, and that the popularity of the franchise itself wasnt the main reason, then the 3DS version should technically have sold a lot more. I dont think there is any new Danball Senki game coming anytime soon, if at all, regardless of platform. Well it looks like Danganronpa's spinoff is doing similarly to the second title and the Vita collection (these were just ports, right?). how ironic yw is gonna be killing pokemon this holiday! I wouldn't have said anything if I wasn't aware of the previous numbers. I'm saying that certain weeks will obviously be above last year's average, but I'm not sure if it will be enough. The new 3DS will have to do a much better job than the original 3DS LL did at boosting sales. Otherwise very interesting to see so thanks! I think that is a result more of the franchise itself, not necessarily the platforms that it was on (PSP, Vita, 3DS). If it was only because of the platform and not because of the franchise popularity, the 3DS version should technically have sold a lot more. I dont think there is any new Danball Senki game coming anytime soon, if at all, regardless of platform. The 3DS version did technically sell a lot more. The franchise died out, but that's not the reason it cratered on Vita when it did. Vita as a platform was the issue comparably. The Vita version was essentially a PSP game dumped on the Vita - Level 5 couldn't even be bothered to change the controls, so the second analog stick was unused. I don't see it as a serious attempt at supporting the platform. The 3DS version on the other hand had new features and content, but still seemed to only confirm that the franchise was declining. 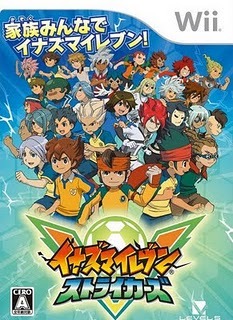 PSP and PSV versions launched at the same time in 2012, while the 3DS version of the game was released in 2013. Sure, i know that the 3DS version sold noticeably more than the Vita version indeed, but since Yokai Watch and Danball Senki was mentioned together/in coherence, i had that i mind, and i dont concider a ~45k difference to be a lot in that regards. I was thinking more of several 100ks in difference (are those numbers first week or LTD by the way? But i know that the 3DS version didnt sell tons more than the Vita version). Since the 3DS version didnt sell that much either, it shows that its more about the franchise itself rather than which platform the game is on. Yokai Watch has shown that the 3DS is more than capable of selling a lot more than 65k copies of a game that is mainly aimed toward kids. Maybe i misunderstood your point earlier, but i read it as you ment that Level 5 basically tried to establish Danball Senki on the Vita on the same level as they tried to establish Yokai Watch on the 3DS (that Danball Senki on the Vita was going to be "the next big thing" and that Level 5 had much riding on this version), but then the game/version didnt sold that well and Level 5 decided to drop all Vita support only because of this. I agree that the sales of the Vita version of Danball Senki most likely didnt exactly spark much confidence for future projects on the Vita, but i think that they were more disappointed about the franchise sales as a whole, and not really mainly about the Vita version sales. It is afterall a PSP port, and from what i've read, they didnt exactly put a lot of work into the port (this is not a excuse, but maybe this shows that they didnt have that much high hopes for the Vita version to begin with). EDIT: I rewrote some of the paragraphs to word my point better. EDIT 2: And just to be clear, i dont think that Vita was the best choice of platform for Danball Senki, i agree that the 3DS was a better choice. I just dont think that the Vita version is what really made Level5 drop the platform for every future projects. I think its more because they think that they can do better on the 3DS regardless of the Vita. Too bad if fell victim of MHP3, but people were clearly interested in Ninokuni. They should make a sequel for PS4/3DS, especially now, I imagine L5 have a lot of workers available, unless they are all working on Youkai Watch spin-offs. Dang, was Forbidden Magna a huge bomb? That game comes out in 2022. Square Enix will have lots of time to write up a new contract with Disney. I do have to wonder how old the existing one is. There hasn't even been a modern smartphone KH. Yeah, when it hit the bomba bins. Level-5 shipped like 500k during week 1. Bomba bin alone wouldn't carry the game to almost 600k copies. People were interested, and they bought the game. 2014-05-05 - 2.968 / 563.752	? i hope not, that game was made by the rune factory guys right ? They shipped 600k on week 1. All of the copies of the game included the book, they took up a ton of space. I don't remember how much it dropped in the immediate weeks, but it's very likely close to those low prices. Sunshine never got bundled right?